Lorna Peel is an author of historical fiction and mystery romance novels set in the UK and Ireland. 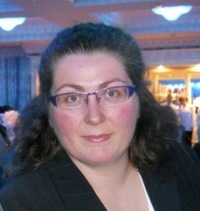 Lorna was born in England, grew up in North Wales and now lives in rural Ireland. A SCARLET WOMAN and A SUITABLE WIFE – books one and two in The Fitzgeralds of Dublin series set in 1880s Ireland – are out now on Kindle, in paperback and on Kindle Unlimited. A DISCARDED SON - book three in the series - will be published in September 2019.
" Meet A Suitable Wife’s Sarah Fitzgerald and read an excerpt "
" Meet A Suitable Wife’s John Fitzgerald and read an excerpt "